'Garden in Zion' by David Sidwell - DPC Prints! This photograph was taken in Zion National Park, in Utah, USA. At the base of some of the 2000 foot cliffs, water seeps out, forming a glistening surface on the colorful sandstone. In this case, the seep was quite large and was found just before sunset. 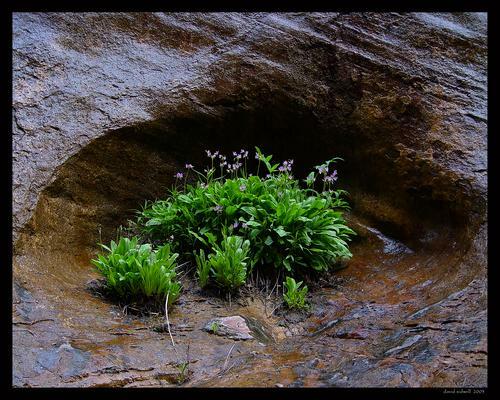 In a natural alcove, this little garden of rocket flower found a home.